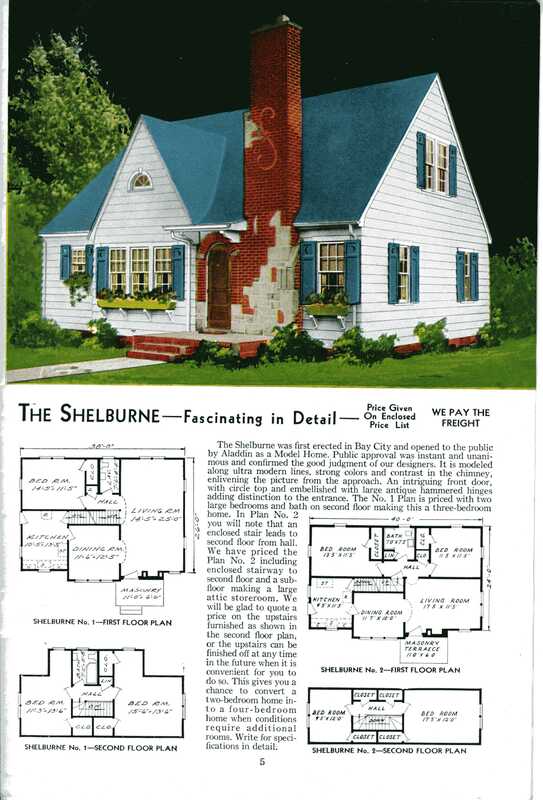 Honor Bilt Modern Homes are featured in this Sears Special Supplement, which was published about 1928. There are 14 house styles that range from Craftsman bungalows to home styles reflecting Mediterranean and English cottage influences. Two house models have alternate floor plans that attest to their popularity. In size, these Honor Bilt Modern homes are comparable to other kit homes that were produced during this period. Like the Aladdin homes, the Sears homes were available "Already Cut" and fitted for easy assembly on site. So timeless are many of the styles, it's easy to imagine building a home of this type now. It might entail modest updates, but overall the inherent design of each of these small homes has easily stood the test of time. Buy a high resolution image of any houseplan on our site.